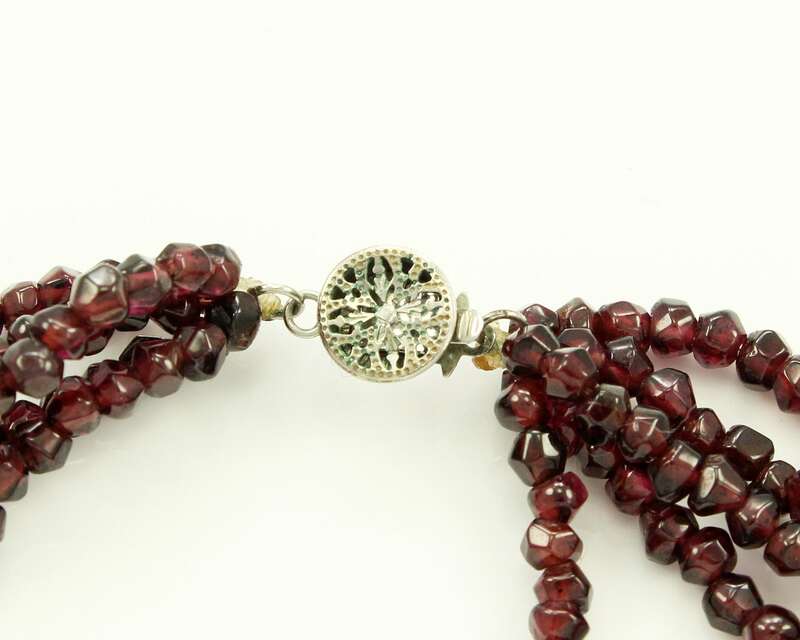 Vintage 5 Strand Faceted Garnet Bead Necklace. 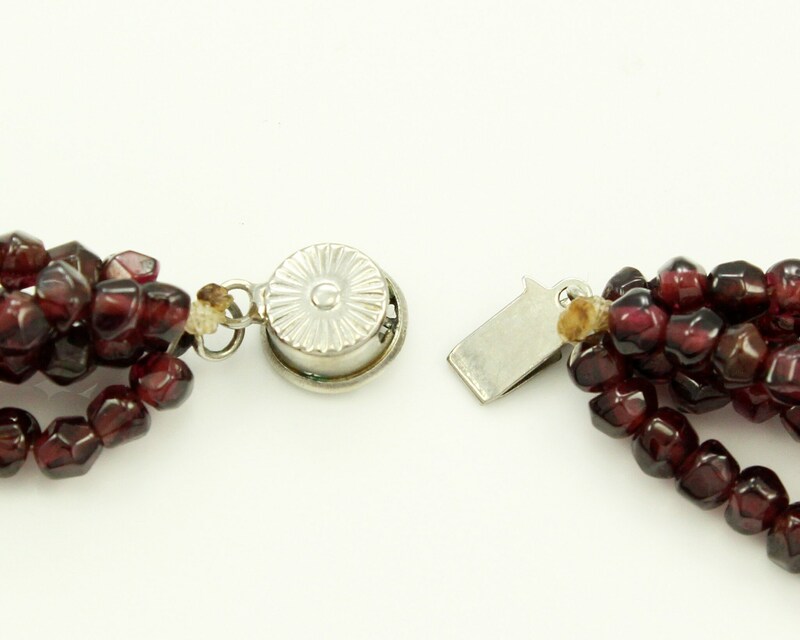 These deep red gemstone beads are finished with a round silver tone filigree box catch. 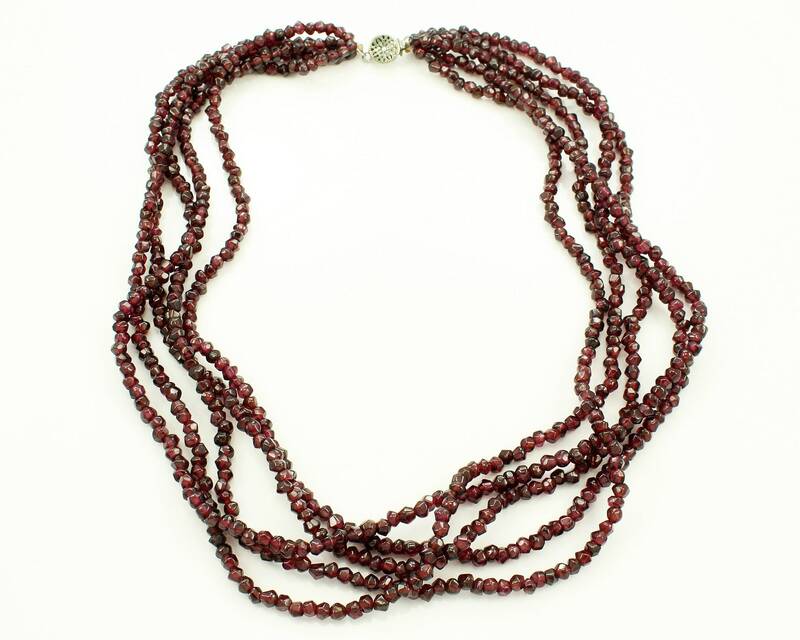 Made about 1980, this necklace has been barely worn and makes a great gift. 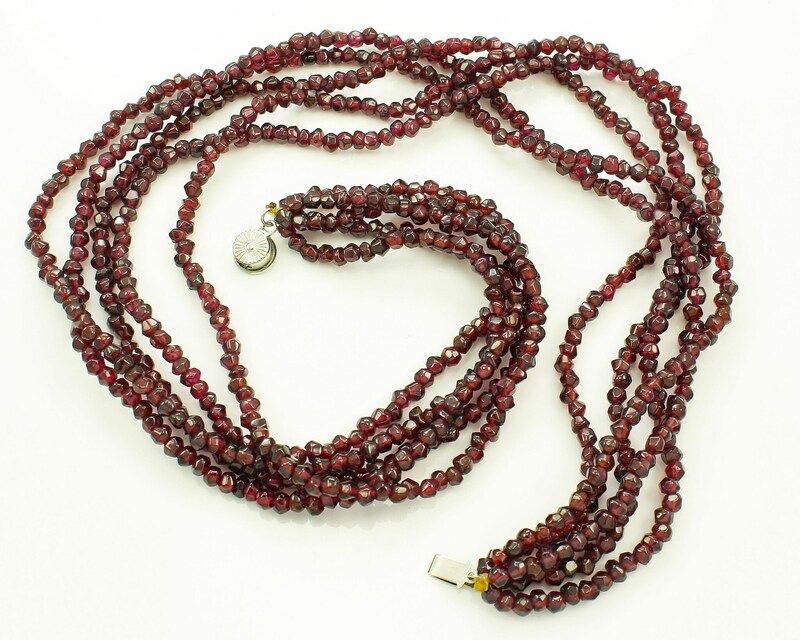 MEASUREMENTS: Necklace is 16 inches long and the beads are approximately 3.5 - 3.8 mm i diameter. CONDITION: Very Good Vintage Condition. Previously owned and worn.